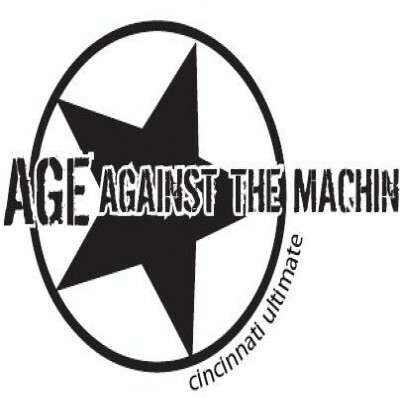 Since rising from the ashes of their youth in the late 1990's, Age Against the Machine has led the struggle for spirited Old Man Ultimate. With appearances at the 2001 and 2004 Masters Nationals, 2009 and 2010 Grand Masters Nationals, multiple World championships in Montreal, and the first Great Grand Masters championships in 2016, this collection of crafty, crusty and creaky men continue to encourage their fellow aged to wake up, know your enemy, and settle for nothing. Like bulls on parade, these men, formerly perky and even approaching athletic, but now armed only with their wisdom and perseverance, and lacking in skill what they also lack in speed, will rise up one final time against the unrelenting Machine.